The International Criminal Court (ICC) is the midst of a process to select a successor to its first prosecutor, Luis Moreno O’Campo. The governing body of the ICC, the Assembly of States Parties (ASP), is seeking to elect a candidate by consensus vote. The list of candidates has apparently been paired down to two candidates: Fatou Bensouda and Mohamed Chande Othman. 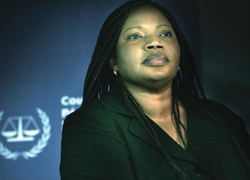 Ms. Bensouda is from The Gambia and is the current Deputy Prosecutor at the ICC. Mr. Othman is Tanzanian. He was the Prosecutor at the East Timor Tribunal, the Chief of Prosecutions at the Rwanda Tribunal and he is the current Chief Justice of Tanzania. The Women’s Initiative for Gender Justice (WIGJ) produced a recent study of the qualifications of the two finalists, focusing on the differences in their litigation experience. The gist of its report is that Ms. Bensouda has more courtroom experience before international tribunals than Mr. Othman and hence is better qualified than Mr. Othman. I have worked at two international tribunals, Rwanda and Yugoslavia. In my view, the WIGJ study is fundamentally wrong. The main criteria the ASP should be valuing in its next prosecutor is managerial excellence, not courtroom skill. The Prosecutor does not need to appear in court at all and frankly they shouldn’t. There are good examples of why this is a bad idea. The Prosecutor’s core responsibility, the one that dwarfs all others, is to create and run an office with sky-high standards of accountability, excellence and transparency. I could care less whether the Prosecutor can effectively cross-examine a witness or not. The ICC hires highly skilled people specifically to fill that role. What is paramount is that the prosecutor is a spectacular manager of people. Comprise on that quality and you build-in inefficiency, delay and budgetary excess. It matters not if the Prosecutor can make a great opening statement if the office is in shambles and morale is low. Here is what does matter: The Prosecutor should not be encumbered by ego. The Prosecutor should be secure enough in his or her own abilities to covet subordinates who are more talented than they are, to value their honest criticism and to admit mistakes. Here is a quick update. A report from Africa Legal Aid that indicates Ms. Bensouda is the consensus candidate, winning out over Mohamed Othman of Kenya. Here is a link to the report: https://mail.google.com/mail/u/0/?shva=1#inbox/133fac66b8650906. Ms. Bensouda has long been viewed as the heavy favorite to win the nomination so her election, if AFLA’s report is accurate, comes as no surprise. Congratulations to Ms. Bensouda and good luck with your challenging work ahead. Your insight is invaluable Prof. Akerson. It sounds like being ICC prosecutor would be a very stressful position. “Office politics” implicates global politics. Do you know how long the term lasts? Excellent piece, boss. Nail-on-the-head stuff.